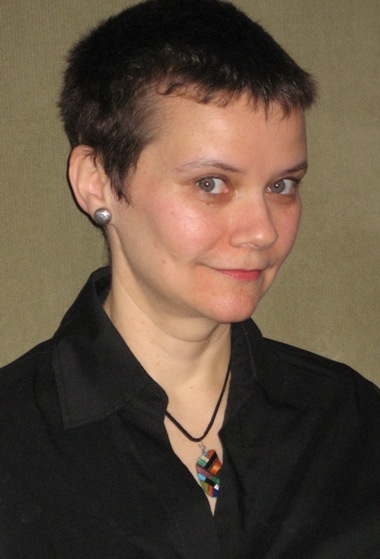 Today I welcome Anne E. Johnson, author of sci-fi novels, to the hot seat. Welcome, Anne! Are there any other fantastic novels waiting to burst free from your imagination in the future? Can you tell us about them? Good heavens! There’s no end to them! For one thing, there will be a third Webrid novel, Red Spawn Delivery. It’s embryonic at this point, but should be ready for 2014. I’ve also just completed a more serious, YA-focused sci-fi novel, which I’m hoping will find a home soon. And I write books for kids, too, so keep an eye out for my children’s sci-fi and also historical fiction for tweens. Wow, you’re a busy girl! They sound great. Tell us about your road to publication. Was it short and sweet? Long and winding with many bumps? For the Webrid books, it was incredibly short and sweet. I had a small publisher in mind as I started to write the first book, Green Light Delivery. That publisher closed to submissions, so as I continued drafting, I kept my nose out for another good possibility. I was participating in #bookmarketchat on Twitter when a publisher called Candlemark & Gleam engaged me in conversation. I liked how she communicated with me, and was very impressed when I checked out her website. As soon as Green Light Delivery was done, I sent it to C&G, and she accepted it within a few weeks. That’s fantastic. Having a good relationship right out of the gate is so important for a good publishing experience, isn’t it? What kind of high school personality were you? Band dork? Jock? Loner? Brainiac? Brainiac for sure. A bit of a loner, but I had a few close friends. I was very proud of my brains, and I noticed an interesting thing: Until about seventh grade, I got the typical “hey, brain!” kind of teasing. But once I reached about 13, the bully’s started to act more respectfully around me. I think I grew into my intelligence and wore it proudly, so people started to accept me more. Ah yes, kids can be cruel. Of course, I was a band dork, so mine was a little different, but it still sucked. 🙂 What’s your favorite food, as in need-to-get-a-room-to-be-alone-with-it, favorite. Vanilla cake with vanilla buttercream frosting. No, I’m not going to share it, so don’t even ask. Ooo, good choice. I LOVE vanilla cake. Do you love the country or the city? I get that, and although I’m a country girl at heart, there are aspects of the city I miss after living there for a while. Do you play music when you write? The only time I play music when I write is when I’m scribbling on the subway. (You can just imagine what I’d be subjected to if I didn’t protect myself with ear buds.) For subway writing, I love British rock and pop of all different types, from the brainy to the kitschy, including The Kinks, Queen, Imogen Heap, Robbie Williams, Mika, Led Zeppelin, Howard Jones, and Radiohead. I’m a Queen fan, too. Such classic tunes. If you were to write yourself into a novel, would you be the heroine, or the villain? I am sort of present in a manuscript I just finished, although greatly disguised, and I’m not willing to say much more before there’s a publishing contract. But I will say that the character to whom I relate is one of the good guys, very smart and socially awkward. It‘s neat to write your life in someone else’s shoes, isn’t it? If I opened up your purse/handbag right now, what would I find in there? A small writing notebook, probably decorated with adorable animals to soothe me when the going gets tough. I probably have one of those in mine, too, but it might take me a year to find it in the chaos. 🙂 Thanks for letting us know you today, Anne. And now it’s time for the pretty. Check it out! 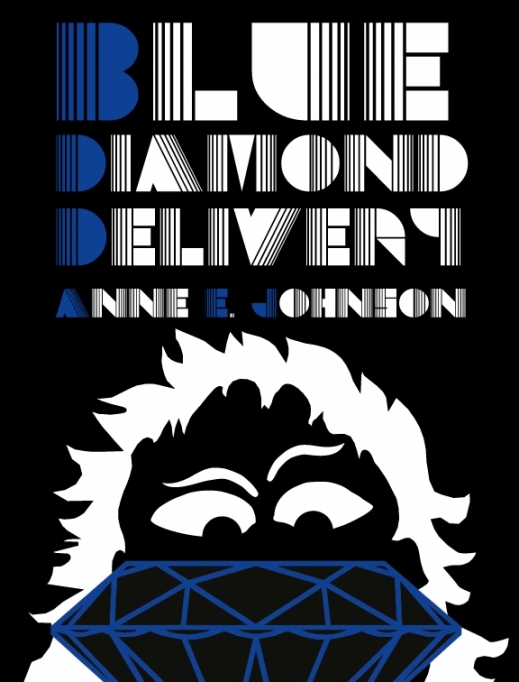 Anne E. Johnson is the author of the humorous science fiction novels Green Light Delivery and Blue Diamond Delivery. She has also published several novels for tweens. Drawing on her eclectic background, which includes degrees in classical languages and musicology, she has published in a wide variety of topics and genres. She’s written non-fiction books for children with the Rosen Group and feature articles for adults in serials such as The New York Times and Stagebill Magazine. As the author of over thirty published short stories, she has won writing prizes for both children’s and adults’ short fiction. Her stories for adults can be found in Shelter of Daylight, The Future Fire, Drunk Monkeys, and elswewhere. For a complete list of her publications, please visit her website, AnneEJohnson.com. Anne grew up in Wisconsin, but moved to New York City over 20 years ago. She now lives in Brooklyn with her husband, playwright Ken Munch.